Static Caravan Insurance – Time to Update? Had your static caravan insurance with the same provider for a while? Perhaps it's time for a change. Static Caravan Insurance - Bank Holiday Break-ins Take precautions to make sure you comply with your static caravan insurance policy. Static Caravan Insurance - Get The Right Policy Static caravan insurance is more essential than ever, as new government data reveals that crime involving vehicles and caravans forms 19% of all recorded crime in the UK. Static caravan insurance is more essential than ever, as new government data reveals that crime involving vehicles and caravans forms 19% of all recorded crime in the UK. Unfortunately, all types of caravan are magnets for criminals looking for an easy hit, regardless of whether they're parked on a site or a driveway, or even at service stations and lay-bys. By comparison with houses, caravans represent an easy target, and they're popular with criminals owing to the fact they often contain many of the same valuables and possessions as a typical home. Statics are particularly prone to crime because they're often left unattended for long periods, which is why it's essential to get comprehensive static caravan insurance. Burglaries – many static caravans are left unattended for much of the year, so to make them a less attractive proposition you should consider emptying them of valuables and even some fittings. Also, leave the curtains open to show there's nothing inside. Many static caravan insurance policies will require you to take practical measures like these in order to minimise the risk of theft. Weather damage – Freezing conditions can lead to burst pipes and even damage to the exterior shell and roof of your static caravan – both of which lead to vastly increased chances of water damage. Prior to vacating your static caravan for any period of time, take time to drain and bleed all pipes and be sure to turn off gas, water and electricity supplies. Aside from taking basic steps to defend your caravan from the elements, there are also a number of practical security measures you can take to enhance your protection in general and bring down the cost of your static caravan insurance policy premium. Those steps include: testing and updating smoke and heat detection devices; install an immobiliser, and or use a hitch lock and wheel clamp; fit an alarm and a tracking device; mark your caravan using innovations such as SmartWater; never leave your keys on display – keep them on you at all times. 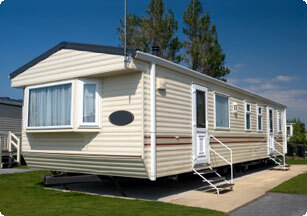 Insuranceforcaravans.co.uk is the site to visit if you are looking for static caravan insurance. With a range of financial promotions for firms who provide static caravan insurance, simply visit our advertisers websites to find out what each insurance policy covers and you are bound to find a product that suits you. If you have any queries about the website itself or about how we work for you, just use our contact us page to get in touch.